Spammy Links: The Reason Why Your Rankings are Dropping? The first search engine result page receives nearly 95% of web traffic, out of which more than 67% of all clicks on SERPs go to the top five results, according to a study from Advanced Rankings (Brafton, The Value of Google Result Positioning, 2017). Hence, if you are looking to drive traffic to your website, you need to aim to rank vital keywords within the first 5 positions on the first page. One of the obstacles you might face in achieving these top ranking result is spammy links. Spammy links can affect your website ranking to the point where it wreaks havoc. The range of consequence varies from simply losing a few rankings on SERPs to getting blacklisted from Google, depending on how malicious the links are (Neil Patel, How to Protect Your Website from Negative SEO, 2017). GO MO Group has helped some of our clients identify and resolve the issue of spammy back-links with an effective strategy, but before we get there, let’s first understand the what, how and why of spammy links. As the term suggests, spammy back-links are bad quality links which could lower your website rankings. These links can range from irrelevant sites with little or no content, or worse, duplicate content! Why Do Websites Get Spammy Back-links? There are a variety of reasons why your website could have spam back-links. Some SEO services will purchase spammy back-links to give their clients a sudden boost in ranking. They might do this to just short-term results to their clients or they simply aren’t up-to-date on current industry practices and webmaster guidelines. So, if you’ve recently hired an SEO agency, you might want to check if they are the reason behind the spam links. We have provided an understanding of how to identify if spam links exist on your website. At GO MO, we recommend that it’s best to steer clear of such tactics because the potential benefits of implementing these techniques don’t outweigh the risks involved. In order to sabotage your rankings, some of your competitors may engage in negative SEO campaigns, which often include a bombardment of spam back-links that damage your SERP rankings. No matter how you end up with spam links, the main differentiator between a good back-link and a spam back-link is the quality of website from which it links. How do I Know My Website has Spammy Links for Sure? After everything you’ve just read, your first instinct would be to thoroughly check all your back-links for spam and fix them. To do this, you need to first learn how to identify if spammy links are present on your website. 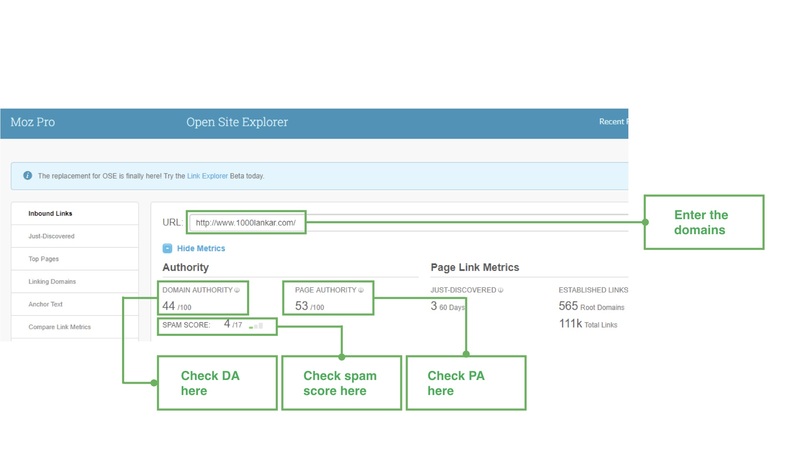 The tools mentioned below will help you evaluate whether the back-links your website is receiving are spammy or not. Are all my back-links spammy? Now that you have identified that spammy back-links do exist on your website, it is of utmost importance that you differentiate between good and bad back-links, before you take any decisive action. While differentiating between a good quality link and a spammy link may not always be easy, there are certain steps you should follow while analysing your back-links. 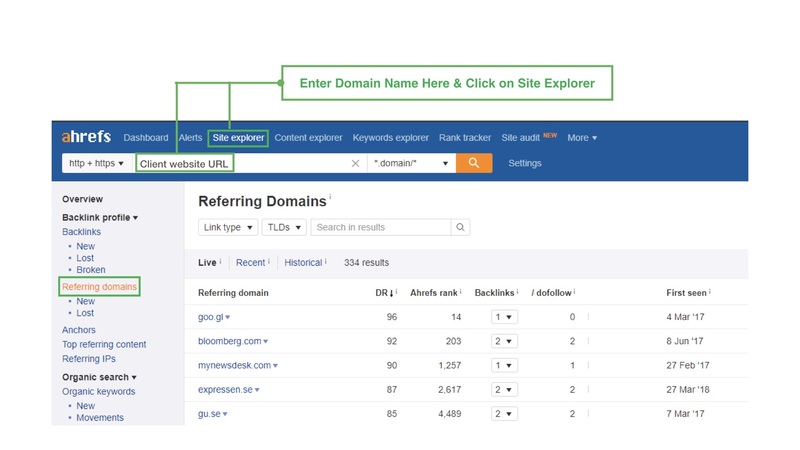 Note that domain relevance is an important factor to consider while analyzing spammy domains. While domains with a low DA, PA and a Spam Score above 5 should be disavowed, an exception can be made if the domain is relevant to the client’s business even if it has a low DA, PA and a Spam Score under 5. Content scraping is the process of using another website’s content without prior permission and publishing it on your own website. This results in what is known as duplicate content and leads to a drop in rankings on SERPs or incurring fines from Google. A malicious website is one that fraudulently attempts to install malware onto a user’s device. Besides causing harm to the website, it can also cause harm to its visitors. In order to analyze a malicious website, you could use an online tool known as Sucuri (Sucuri is a security company that provides websites with services such as malware cleanup, protection, and monitoring services, among other tools). 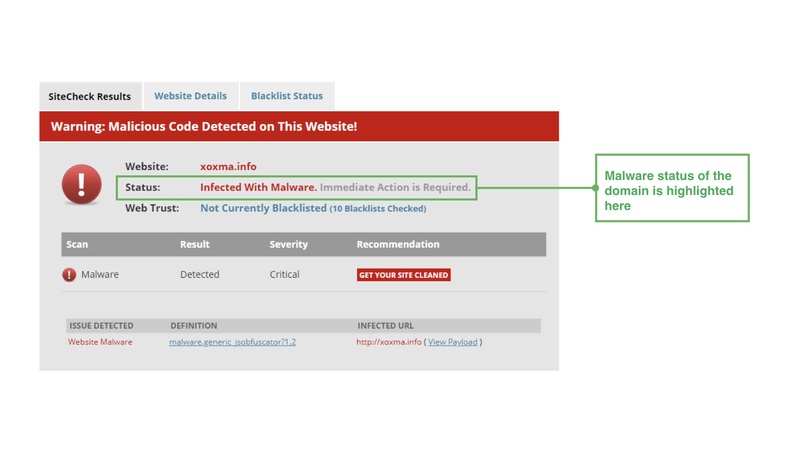 After entering your domain name, scan your website and the malicious status of a domain will be highlighted. How do I get rid of spammy back-links? Is Google Disavow Link Tool the answer? Google Disavow Links tool is a the highly effective option that gives webmasters the power to report and submit spam links to Google in case of a negative SEO encounter. 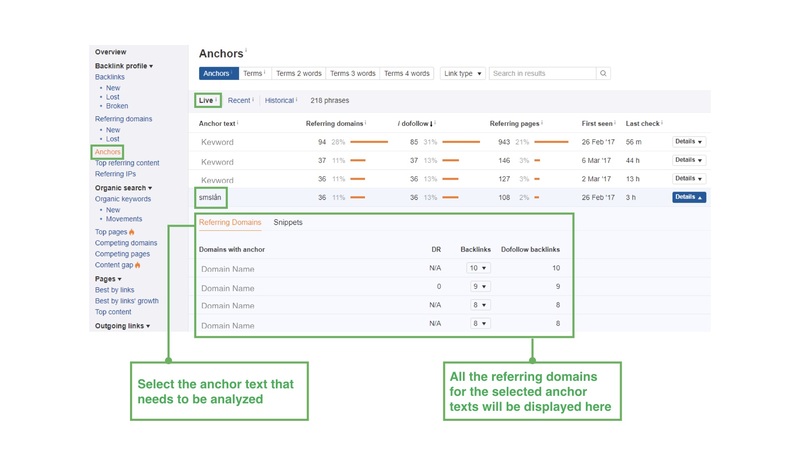 Google introduced the tool in an attempt to reduce link spam (Derek Gleason, Google’s “Disavow Links Tool”: The Complete Guide, Ahrefs, 2018). While there are multiple tools that can help getting rid of spammy back-links, based on our experience, the most recommended way is by using Google’s disavow links tool. It is very helpful, but it is an advanced feature that needs to be used with caution. If used incorrectly, it could have a negative impact on your website’s ranking on Google. 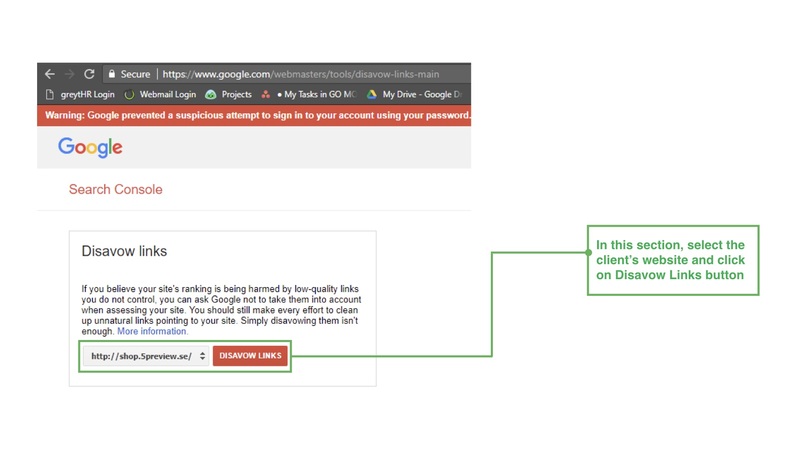 That is why you need to get experienced SEO analysts and strategists involved if you are planning on using Google Disavow links tool to solve your spammy links issue. 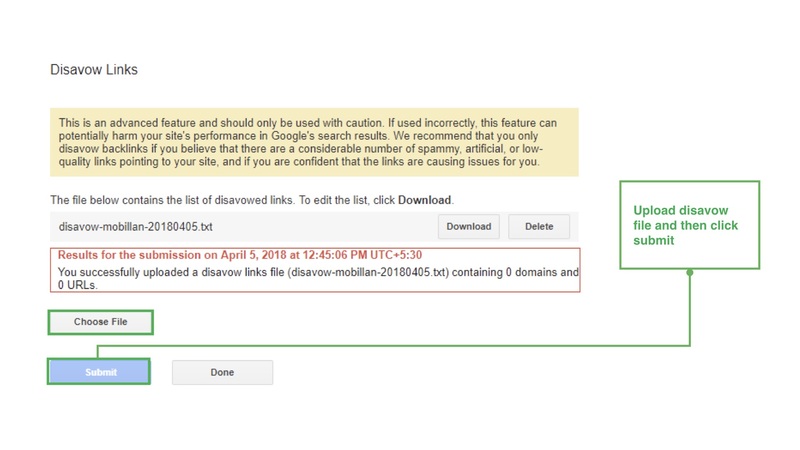 A disavow file is one that contains a list of all the spammy domains and URLs that have been discovered while conducting the analyses highlighted above. Once you have listed the URLs in Notepad, the Disavow file needs to be uploaded to the Google Search Console. Done with Disavowing: What’s Next? After you have sent the list with all the spammy back-links, the next logical step would be to make sure the links stay disavowed. The only way to make sure this takes place is by regularly checking up on the disavowed links. GO MO Group does this after one month of sending the link to Google Search Console by putting in the domain name in AHREFs to check if the link has actually been disavowed. If the link has been disavowed, then a regular check up is done every three months to confirm the same. If it hasn’t, then we update the disavow file sheet again, and check up on the link on AHREFs after one month. In August and November 2017, one of our clients in the banking industry was under a spam attack. Since banks handle sensitive financial information, a spam attack can have major repercussions, one of them being loss of credibility. Due to this attack, our client took a huge hit to their keyword rankings and organic traffic. The first step we made was to identify from where these links were originating. Post this, we created a disavow file containing all spammy domains and submitted the file to Google Search Console. A whopping total of 307 spam domains were blocked by Google Search Console. In order to be extra cautious, we submitted the file Google Search Console again in January 2018 to ensure the issue has been eradicated from the root. In this manner, GO MO successfully removed 307 spam domains from our client’s website and increased the overall performance of our client. We have compiled this in-depth guide after conducting thorough research, experiments, and analyses of real-life case studies. It is important to understand that tackling spammy links is an ever-changing process which heavily depends on Google’s algorithms. Hence, it is essential to stay up-to-date about the latest trends and techniques to combat spam back-links. At GO MO Group, we welcome feedback and suggestions regarding our blogs, so please feel free to write to us! Till then, keep reading our blogs for tips and tricks on how to improve your SEO knowledge, and make the best use of digital marketing for your business. An avid reader and a lexophile with several years of experience in writing. Currently pursuing an MBA in Marketing with an undergraduate degree in Psychology.